Linchpin User Profiles is a key module of the Confluence-based social intranet suite, Linchpin. 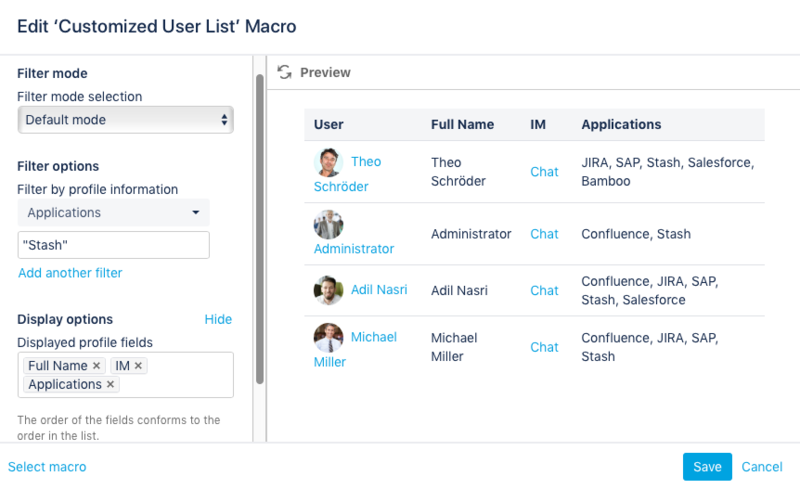 It not only enables users to expand their Confluence user profiles in terms of both content and technical features but also lays the foundation for the extensive personalization of the Linchpin platform. The solution also includes an internal expert search function within the intranet. Our development team has now released Version 2.10 of Linchpin User Profiles, which is dedicated to creating a more flexible and successful user experience when searching. The larger the organization and the more employees that work in and with the intranet system, the more difficult it can be to extract the information you need from the mass of data there. In practice, a very specific request for information can sometimes result in a long list of results, whereby many pages might match the search to some degree, but hardly any provide a concrete match. Similar challenges can also crop up when searching for users in a Confluence-based Linchpin intranet. To improve our user's experience, our development team has now implemented the additional filter option "Expert Mode" into the Customized User List macro. 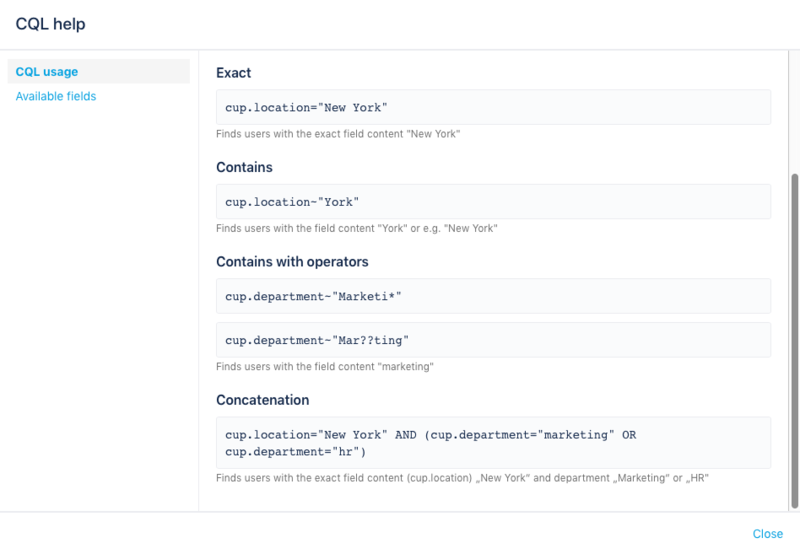 This filter lets you use the Confluence Query Language (CQL) and allows you to conduct more complex queries, which in turn provide the exact results you are looking for. There is a help page available to support those who don't have much experience with the language yet. This helps you get started with the search syntax and see which profile fields are available in the search. More detailed information can be found on the Atlassian website. 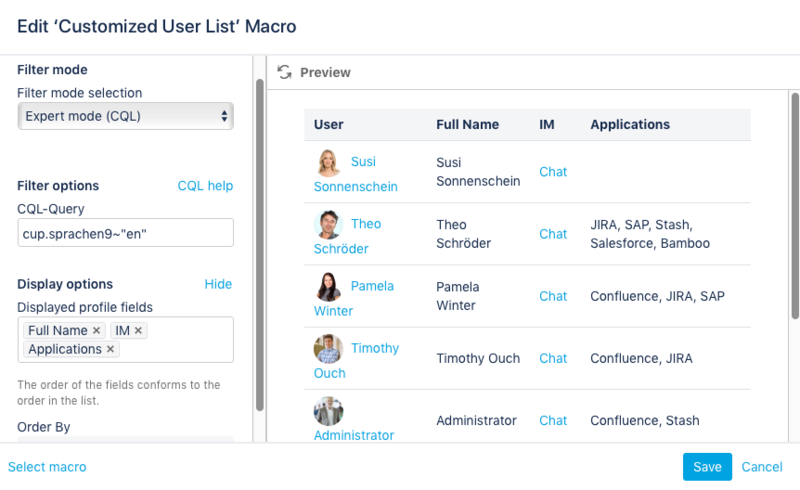 Linchpin User Profiles helps you get started with CQL. There is a list of the profile fields available in the help section. 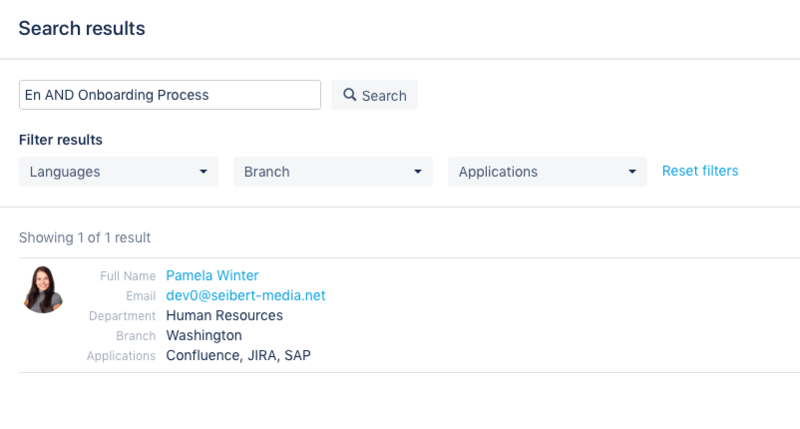 The new AND operator enhances the expert search even further by adding the option of not only narrowing down the search for specialist contacts within the company but targeting the right experts more precisely. For example, by adding "AND" between two search terms (e.g. 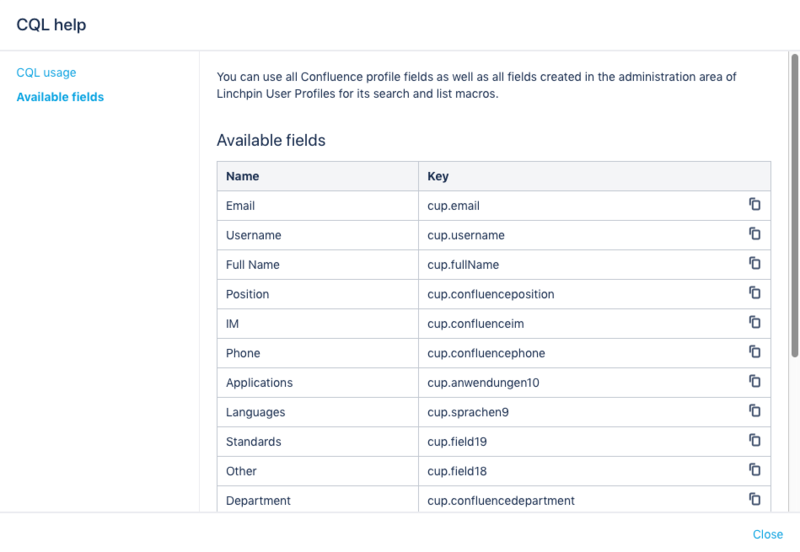 "En AND Onboarding Process" in our demonstration Linchpin instance), you will only be shown users that have both terms in one of the search fields selected. For example, if you search in the profile fields "Languages" and "Projects" you will only see users that have English and Onboarding in their profiles. Do you want to find out more about Linchpin User Profiles? Take a look at our knowledge base to learn more about Linchpin User Profiles' features, first steps, various use cases, and prices. 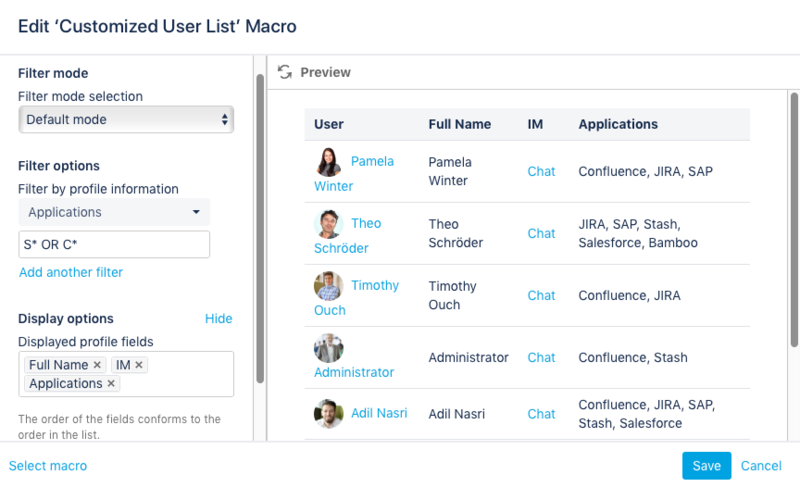 And of course you can test the latest version of Linchpin User Profiles for free, simply download it from the Atlassian Marketplace and get going! Alternatively, you can try it our in a Linchpin demonstration instance, which allows you to experience the extended user profiles within a complete and personalized intranet system.